This menu was designed to keep students on track throughout the week. Students turn in reading menu at the end of the week. It helps them keep track of the AR quizzes they have taken as well as their morning jobs and early finisher projects. 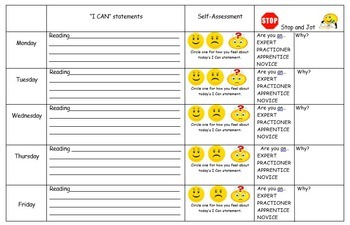 I highlight what I want students to do for the week according to their abilities. 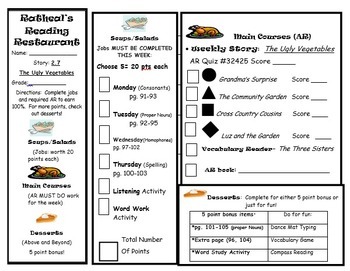 I also print the corresponding page on the back of the menu so that students can write their reading goal for the day. Then, students must stop and jot about how they feel about today's reading goal.